The Bentley Continental GT is a unique car that doesn’t draw much attention to itself. Powered by a twin turbocharged W12 engine, it sure isnt that car you pass on the highway either though. Lets face it, there are a lot of two door cars for over 100k, but not many of them can match the luxury and craftsmanship that Bentley puts into each and every Continental. Now with all of that being said, not every Continental you see for sale on eBay is the same car. There are tons of color choices, and many interiors. But there are some special versions worth taking into consideration. Bentley three distinct coupe versions of this classic car: the regular Continental GT, the Series 51 Limited Edition, and finally the SuperSports. Lets start with the regular Continental GT. It makes 552 HP from that Twin Turbo W12 (which is fundamentally two narrow angle V6’s mashed together), has room for 4 adults and is very comfortable on the road. And to be honest, it bores me. Sure its nice and luxurious, but theres just nothing THAT special about it. The styling doesnt stand out of a crowd, and when you think 552 HP dont you usually think of a Corvette or Ferrari? Granted its one of the absolute best Gran Touring coupes around, but it is by no means a sports car. 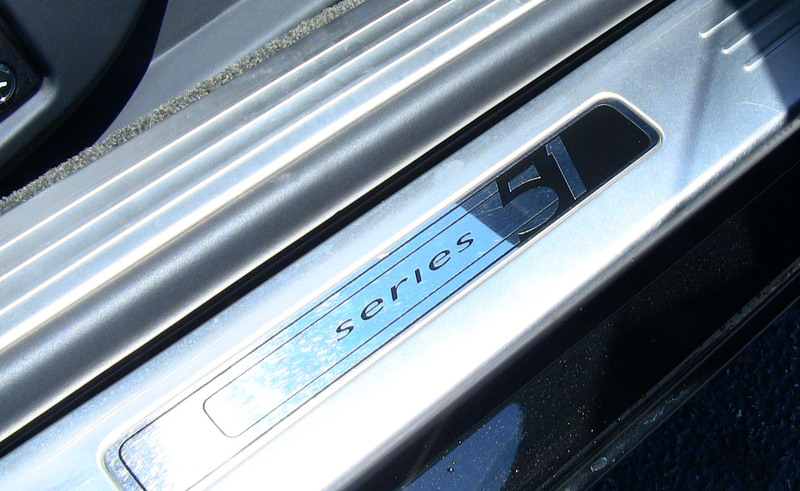 Now, the Series 51 Limited Edition is just a subtle change over the standard Continental. You might or might not notice that that same powerplant now makes an even 600 HP, or that there is Series 51 engraved into the door sills. Still more subtle yet there are just little 51’s on the front fenders. There are also special upgraded 20″ wheels. The ride is also slightly dropped but to be honest, it doesnt feel that substantially different. Sure, you cant argue with the extra horses or that the interior is quilted, but its still just a Continental at the end of the day. Now, enter the Bentley Continental GT SuperSports. Yes, its a mouth full but wow is it impressive. 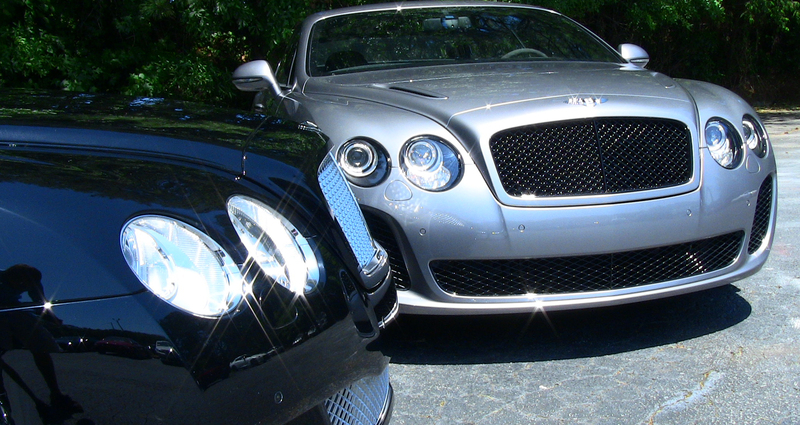 First off, the W12 now produces an astonishing 621 HP and 590 ft/lbs of torque! Top that off with a new double clutch transmission (which Bentley claims makes shifts 50% faster), the largest carbon ceramic breaks EVER to be fit to a production car, and 243lbs of weight shedding (you still get the soft close doors but have manual seats… seems backwards but no one asked me) and you essential get a supercar. The SuperSports will do 0-60 in 3.9 seconds, flat out you will be doing 204 mph. And thats fast in a car that still weights 4900 lbs. Granted, when you are driving the car you can feel its enormous weight, but when you feel the wheel the all wheel drive system sure does do a great job of keeping that car planted. Stopping with those enormous breaks is astonishing, due to the ceramic compound there is almost no break fade at all – not to mention that the bite and stopping power is very linear and you feel in complete control of the 5000 pound monster. Just remember one thing: there is no back seat, so you can only bring alone one friend for the ride. So the ultimate question, is the SuperSports or the Series 51 worth the additional spending? Probably… if you were going to buy a Bentley then why not own one that will knock your socks off? Check out some extra photos below!